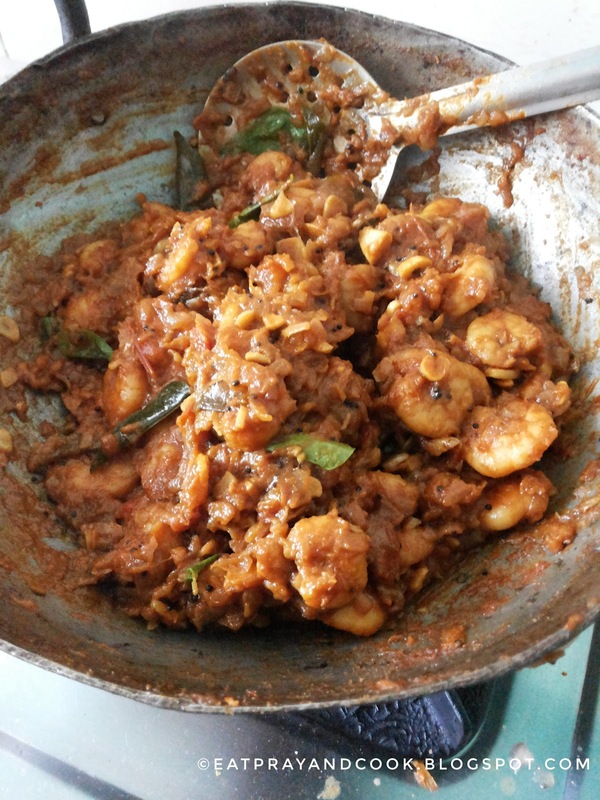 Eat Pray and Cook: Prawn / Shrimp Masala - Shrimp-O-Mania ! 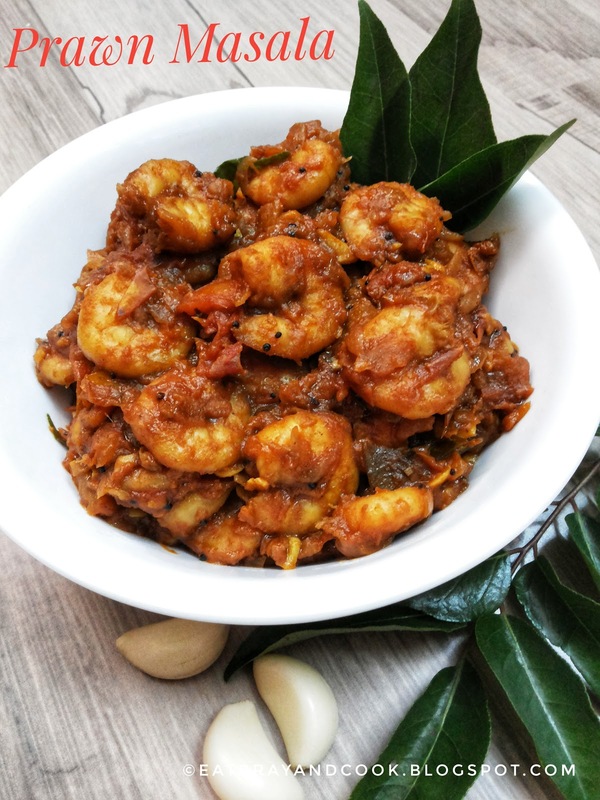 This shrimp masala or prawn masala is one of our family's favourite seafood dish. Especially my daughter's favourite. We make only this masala with shrimps. 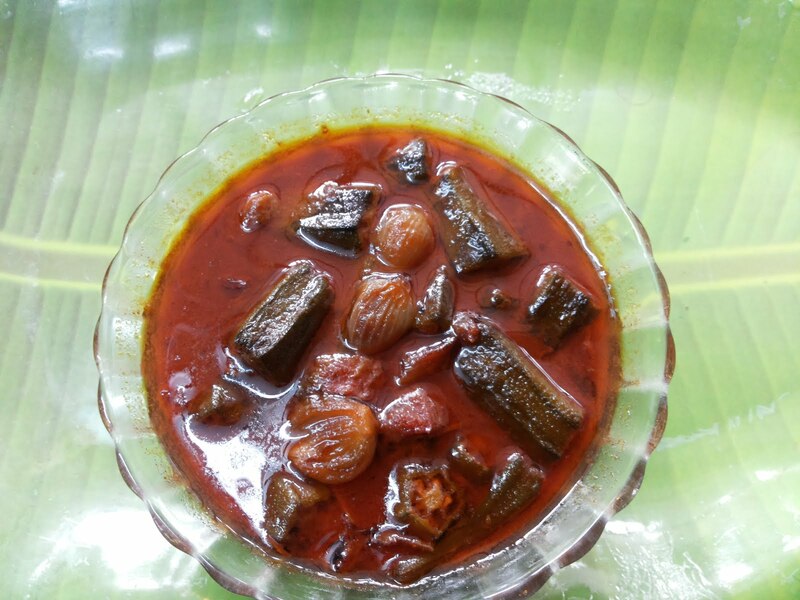 It goes so well with white rice, sambar rice, rasam rice and even with chapathi. In our house. 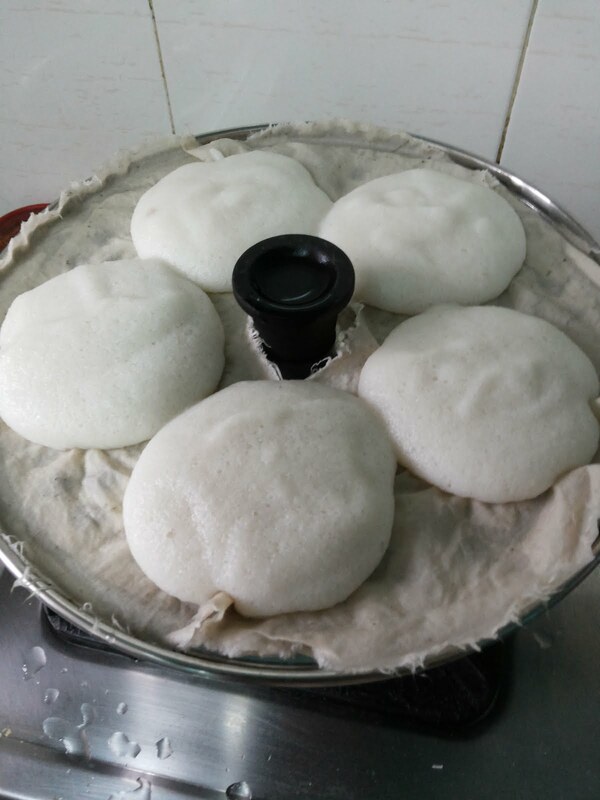 If I make shrimp masala for lunch, that day dinner will be chapathi with shrimp masala. My grandmother used to make this dish in her iron wok and iron ladle. She roasts this shrimp masala till it becomes dry, dark in colour and each shrimp is coated well with this awesome masala. These days, in televisions, I hear the chefs saying that the shrimps should not be over cooked. 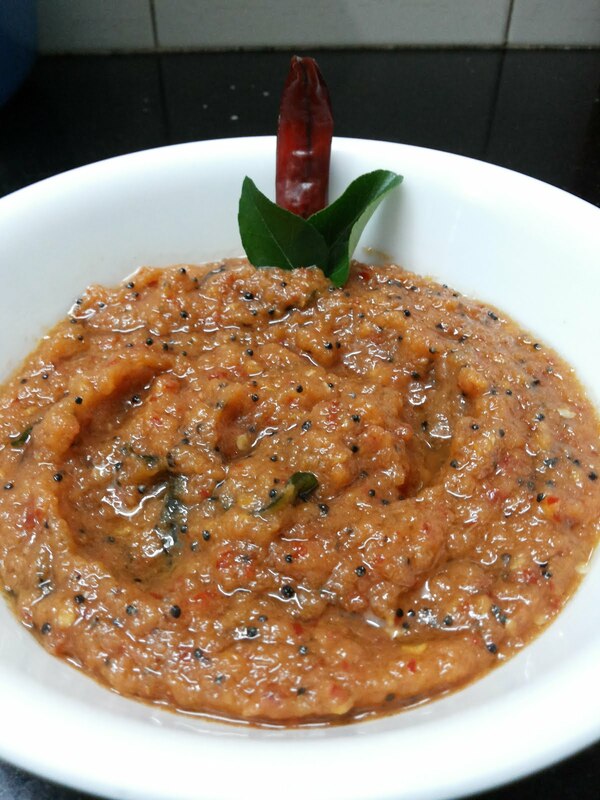 But in those days.. they used to cook shrimps in masala so long, that they become nice, chewy and intense with its spicy flavours. Somehow, I still like that texture of shrimp/prawn in masala. 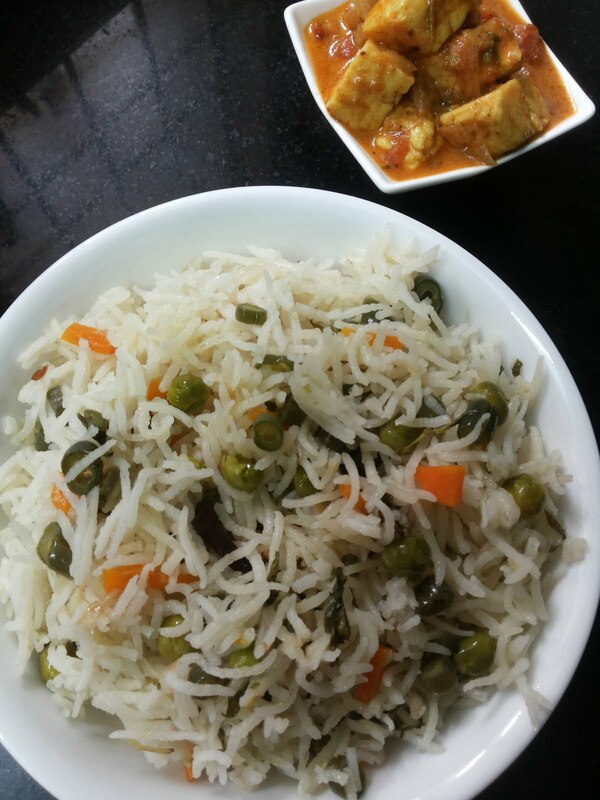 As usual, we used to fight for the kadhai-rice. 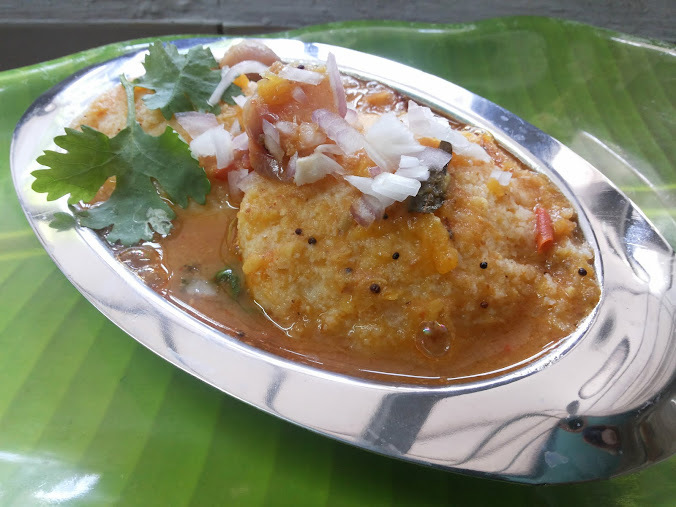 After making the shrimp masala, my grand mom used to transfer the masala to another serving bowl and add rice to this kadhai, mix it with the left-over masala, make balls and serve the kids. 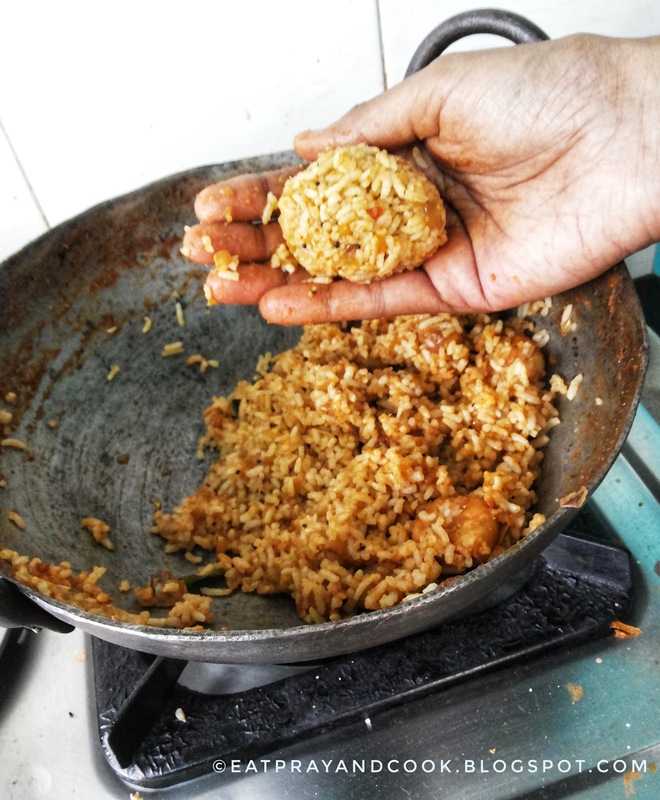 We get only one rice-ball per head. 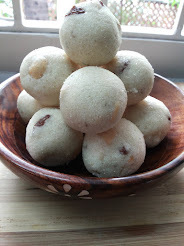 My grand mom used to give away all the rice-balls to us, she just licks off her fingers before washing the kadhai. Those days were golden days.. summer vacation in native place with grandparents, heroic mamas, pretty chithies in half-sarees.. roaming in hot sun or playing in the neem tree shade in the garden at the back of the house. My childhood summer vacation was as beautiful as reading RK Narayan's Malgudi Days.. OKAY.. now back to shrimp masala. 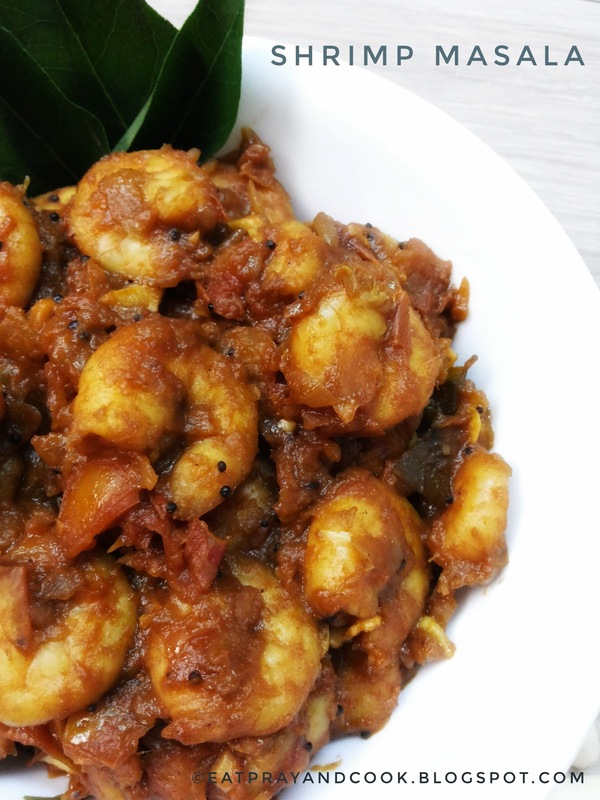 This shrimp masala has basic ingredients. We never add garam masala. No ginger. Lots of onion, tomato and garlic. The masala is well cooked till the oil separates. There you go.. yummicious shrimp masala ready. 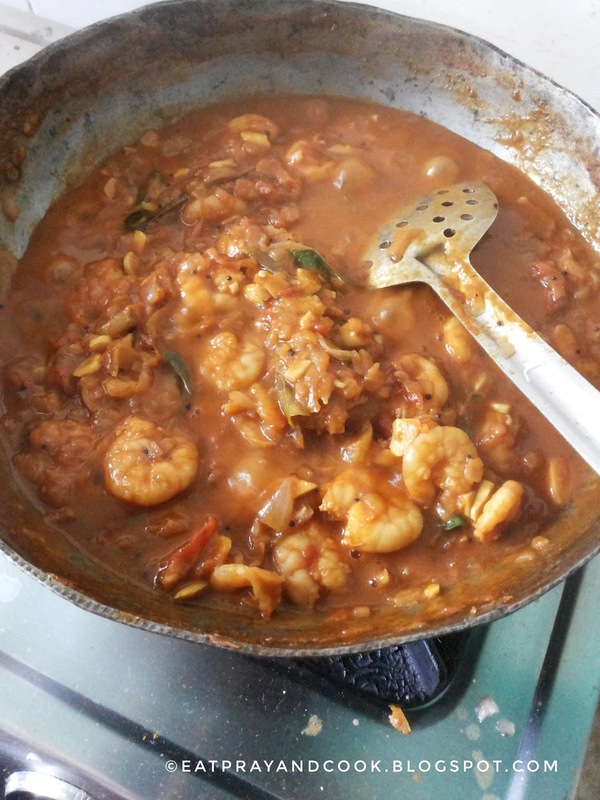 Here is the recipe for the shrimp / prawn masala. Clean and wash the shrimps three times. 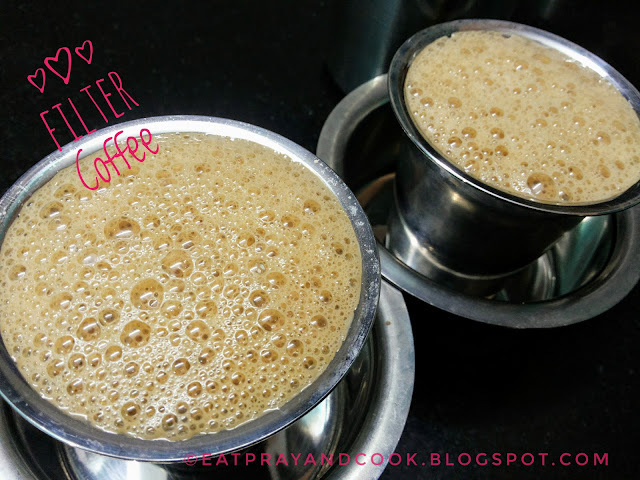 Add some turmeric powder and salt and keep it aside till you get ready with the masala. This removes any unpleasant odour in shrimps. You have to rinse this shrimp again in plain water to remove this salt and turmeric, before cooking. 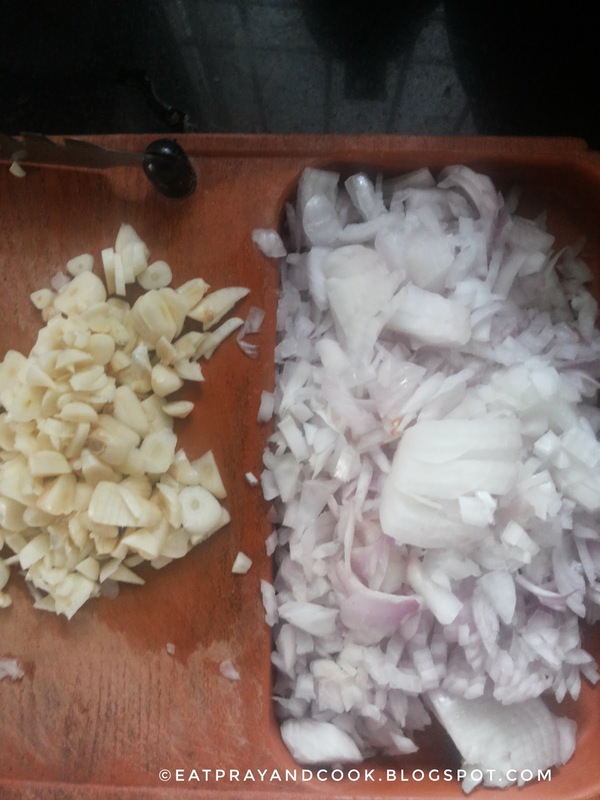 Finely chop the onion, tomato and garlic and keep ready. 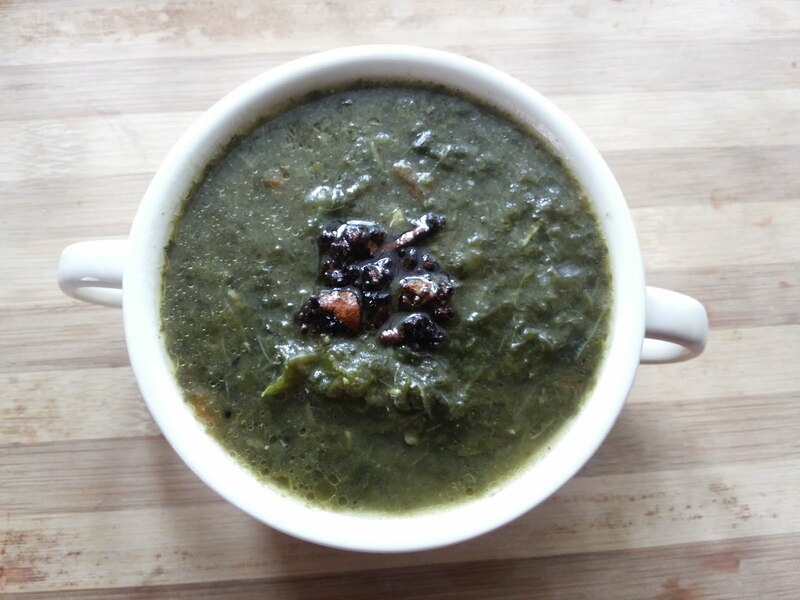 Temper with the mustard and urad dhal. Add the chopped onion and garlic. Add a pinch of salt. Saute well till the onion shrinks and becomes transparent. Add the tomato and mix well. Saute till tomatoes are well done. Now, rinse the shrimps in plain water to get rid of the turmeric and salt and add to the onion and tomato being sauteed. Saute this till the shrimps are well cooked. Initially the water from the shrimp oozes out. Keep stirring till this water too disappears. 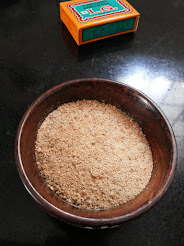 Then add salt, jaggery (or sugar), turmeric powder, chilli powder and coriander powder. Stir well on medium heat for another 7 minutes. Now add water. Mix well. Let it start to boil. 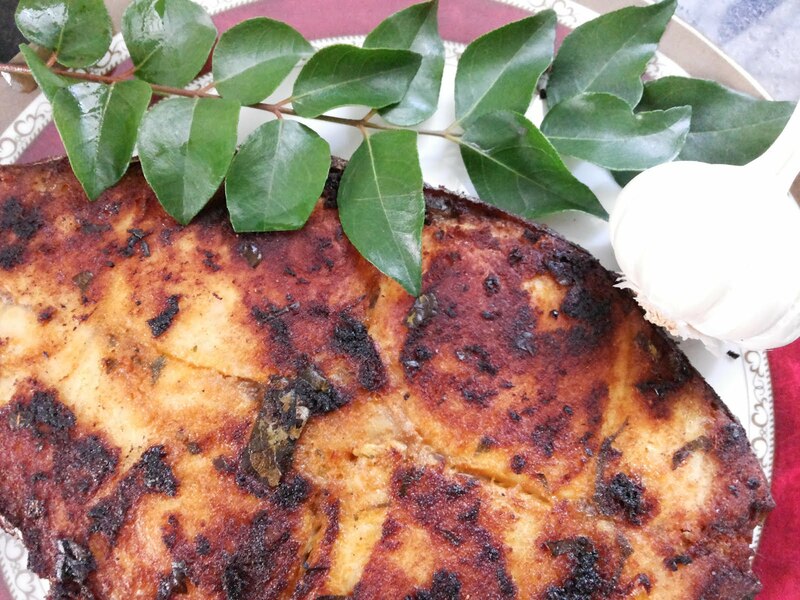 Crush the curry leaves and add to the gravy. Let it cook on medium heat till the gravy thickens. The oil from the gravy seperates. Now you can turn off the heat when it is still slightly gravy or you can continue to cook ahead till it becomes nice and dry gravy. This awesome shrimp masala is ready to be served. We can mix it with plain white rice and relish. 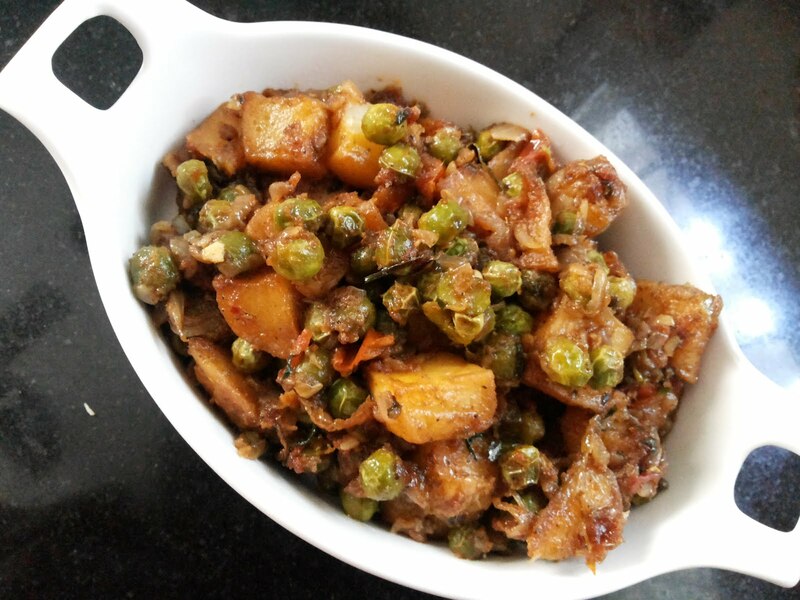 You can have it as side dish with sambar rice or rasam rice or curd rice. 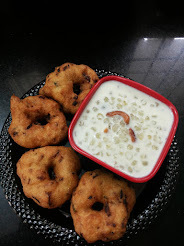 It is an excellent side dish for chapathi and poori. Shrimp masala definitely makes our meals special.